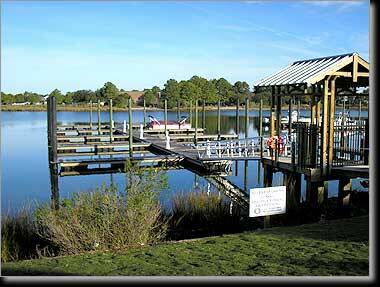 The Harbor Walk Marina is located on the southern shore of Pretty Lake in Norfolk, Virginia. The marina is an amenity for a new 241-unit condominium project that replaced a trailer park. In final form, the marina will include 74 floating slips on 5 main piers with a kayak launch. Phase 1 was completed in 2004 with dredging and 36 slips on 2 piers. Langley and McDonald served as the Marina Consultant. A master plan was prepared of the boat slips with consideration of the limited vertical clearance under the Shore Drive Bridge that separates the marina from Little Creek and the Chesapeake Bay. 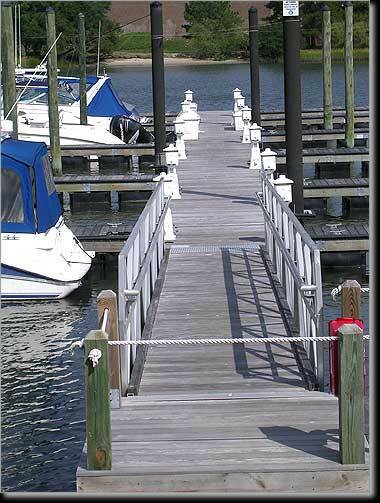 The master plan incorporated ADA requirements for both access and number of boat slips for handicap access. Permits were obtained from all regulatory agencies. Dredging provided a depth of 6.0' at mean low water. The piers and dredging were situated to avoid impacts to vegetated wetlands and minimize the cost of dredging. An upland on-site location was bermed to hold the hydraulically dredged material.